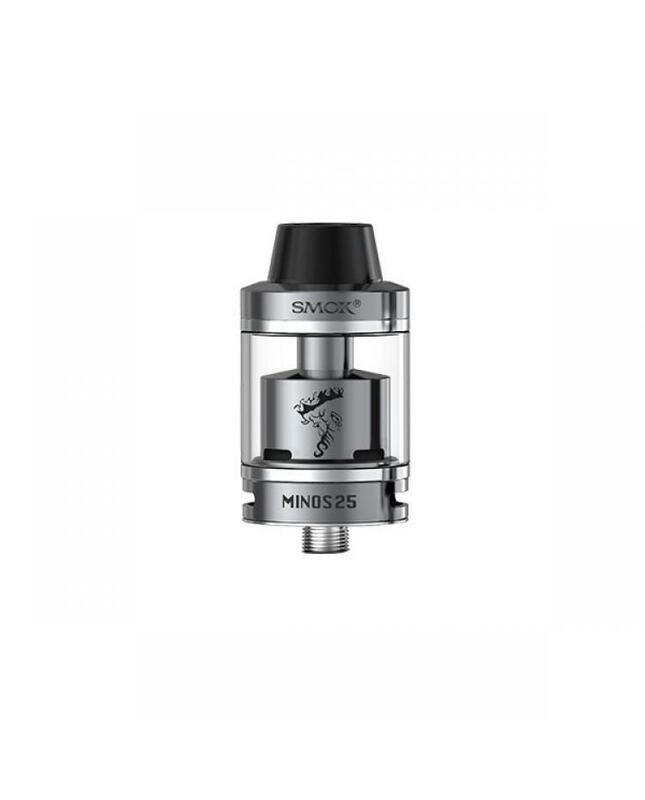 Smok minos sub ohm tank, the diameter 25mm, with the simple design, completely transparent tube easy read capacity of e juice. airflow adjustable system at bottom of minos, it's two big slots, removable top cap filling system allows vapers refill easily. 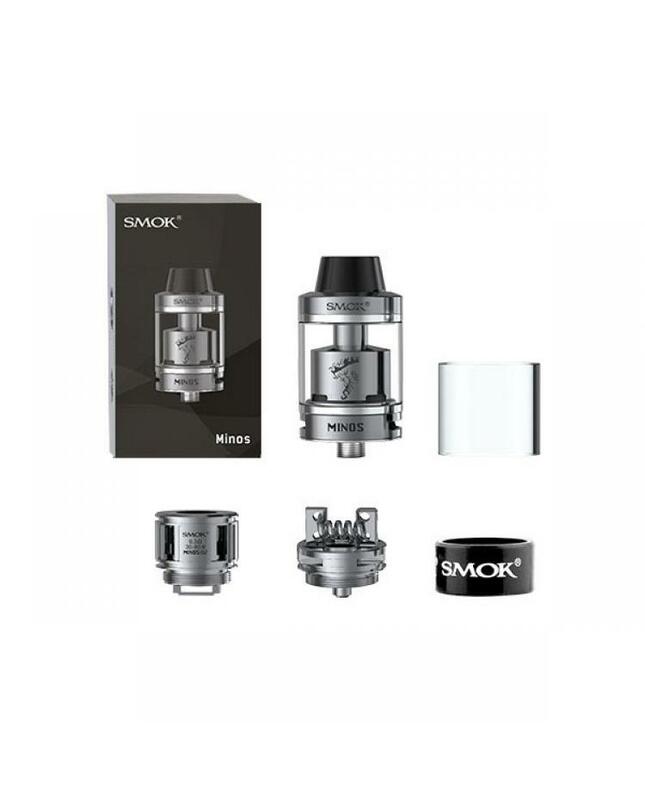 510 thread compatibles with most of smok TC mods, the tank can hold 4ml e juice, with 510 RDA drip tip. the kit comes with M2 deck and minos q2 coil. the m2 deck allows vapers to build single and dual coils, it's 24.5mm big build deck. Q2 core is low wattage and huge vapor core, resistance is 0.3ohm, recommend work at 30w to 80w.the smoktech minos is the taste king style tank, provide a better vaping experience.